I just finished Obra Dinn which I picked up because of your recommendation. What an incredible game. Thank you! In this episode we discuss What Remains of Edith Finch; If Star Trek is good or just familiar? What is a DS9 and should you care? And what are the happs with the Full Immersion podcast. Before diving into the main topic of Beast (spoilers 37:40 - 48:34). 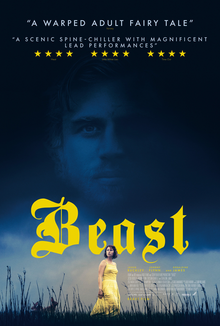 Who or what is a Beast? Just finished listening and loved it. I’ll be honest, I was apprehensive when you announced the shift to non-netrunner content, but I’m really enjoying it so far, so thanks! Once them NIESI cards get spoiled I just KNOW they’ll feel the gravitational pull of revisiting the one, true, and cyberhackman game. You probably won’t have any use for this in the future. Also, I spit out my coffee when you all talked about things that sub-legal. In this episode we talk about the first set of Project NISEI cards, Downfall. Netrunner cards aplenty in this throwback episode that is sure to delight or annoy depending on what you want from a podcast that used to be about Netrunner but now normally talks about other things. It’s really pleasant to hear you guys again. It’s awesome that you’ve kept the cast going, but I’m not particularly interested in TV and video games and haven’t been keeping up. Anyway, it’s nostalgic. Thanks for staying jacked in.